Often, parents do not realize when the Little One is experiencing a growth and development disorder. The growth and development process of each child is different, which leads to the differences in attaining developmental milestones. The acceptable time range to achieve each developmental milestone is also usually quite wide. For instance, the normal category for a child to be able to walk is between the ages of 10-18 months. There are often differences in development among children of the same age. Therefore, parents should recognize and understand the warning signs for the growth and development of the Little One. Growth and development disorders in the Little One may occur in one or more developmental aspects. The developmental aspects of the Little One consist of speech, vision, gross motor skills, fine motor skills, social and emotional skills, and language. If parents suspect that the Little One is experiencing a delay in one or more of the above aspects, they should immediately consult a pediatrician in order to obtain early evaluation and therapy. 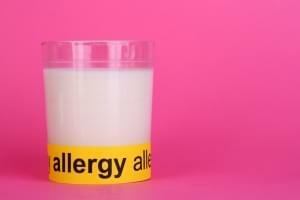 Cow’s milk allergy during growth can be a confusing condition. The Little One needs nutrients contained in it, but, on the other hand he/she has symptoms of allergies that would make him/her uncomfortable. 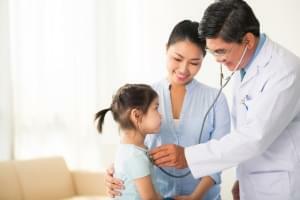 The immature immune system of the Little One makes her/him susceptible to various diseases, including colds. Then how to handle it when your Little One caught a cold?